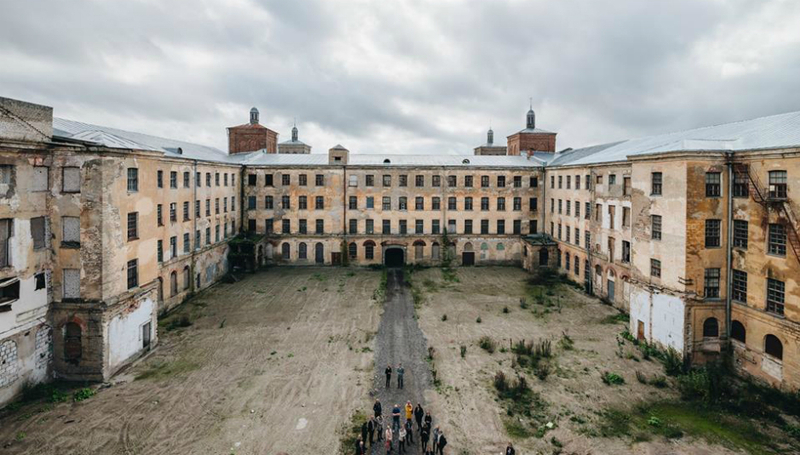 News reaches DiS of an intriguing festival called Station Narva, taking place 21-23 September. Narva is a predominantly Russian speaking city that sits almost exactly on the Estonian-Russian border. Billed as a cultural coming together of the two nations (a noble process that has been driven with some considerable success over the last few years by Tallinn Music Week’s organisation), the festival also has a number of British acts: Echo & the Bunnymen, Tricky, Gazelle Twin, and Actress. However the focus will be on the meeting of the wealth of Russian, “Nordic” and Estonian musical talent. One name to note is Röövel Ööbik - aka Una Bomba 50+, one of the most celebrated artists ever to come out of the former Eastern Bloc. Other names familiar to DiS readers are the great Estonian surrealist soul singer-producer, Mart Avi and the combustible cabaret of Petersburg’s Shortparis, both of whom will vie for attention alongside some tremendous as-yet unmapped names such as Russia's Electroforez, Estonia’s 12EEK Monkey, and the “beloved madcap maverick” Felic Bondarev, a Russian with strong ties to Estonia. Bondarev will perform at Station Narva with his group RSAC (Red Samara Automobile Club), with his dad as a guest guitarist! The festival action will be held in the impressive grounds of what was once the world’s largest cotton spinning mill; Kreenholm. For more information about Station Narva, including the full lineup and ticket information, please visit their official website. The Fangasm: Alopecia by Why?